Fibonacci numbers? Those are nature’s magic numbers! 1, 1, 2, 3, 5, 8, 13… Creating a ratio between adjacent numbers in the Fibonacci sequence form what the Greeks called the “Golden Ratio” or “Golden Mean,” (0.61538461538462…) the perfect balance. You see the Fibonacci numbers everywhere in nature! For instance, the number of clockwise rows of “eyes” on a pineapple versus the number of counter-clockwise rows are adjacent Fibonacci numbers. The length of your hand versus the length of your forearm create a Golden Mean. Pretty amazing stuff. So if it works in nature, why not apply it to technology? Apparently, Deacci has devised a scatter-winding methodology that employs the Fibonacci sequence. Who knows how this will make the pickups sound? But it definitely is a unique approach, and frankly, since they’re going after discrete numbers, it would mean that there will be much less variation and much more consistency between different pickups of the same make as you find with PAFs (imagine the winders that were originally used to wind PAF pickups were made for winding yarn). Of course, there’s no guarantee, except for hearing them, and from the sound clips I’ve heard thus far, these are very nice-sounding pickups. I’m going to be getting a set of the their “Green Faze” pickups based upon Peter Green’s ’59 Les Paul’s PAF’s. Very excited about that as I will be putting them into my ’58 Re-issue to brighten up its naturally warmer tone – especially in the neck pickup. I’ll be doing a review in the next few weeks! Stay tuned! For more information, visit the Deacci Pickups site! Quick Review: Lollar Imperials ~ They Make Me Feel Like a King! I just put down “Katie May,” the wonderful guitar I just reviewed from Perry Riggs’ Slash L Guitars. From the first time I plugged her in up to now, one of the most striking things about the guitar that I shared with Perry was the incredible tone and dynamics from the Lollar Imperials he installed. Having played Les Pauls for years, one thing I’ve become accustomed to is the “bloom” from the pickups when sustaining a note. It’s hard to characterize exactly what “bloom” is and unfortunately it’s difficult so record. But when a pickup “blooms” I hear and feel it as a subtle change in character of the note being played. The overtones and harmonics seem to take over, creating a sweet-sounding tail-end to the note. With a Les Paul, the overall experience of the note is a distinctive “honk.” It was a very pleasant surprise to hear the Lollars do that. Apparently, the Imperials are PAF-style pickups, and from what I’ve been able to gather from other sources, many people have found them to be great replacements to the BurstBuckers in their Les Pauls. After my experience with them, I’d tend to agree with that. But we’re talking about Katie May, and in Katie May – excuse the cliche – they’re a match made in heaven! For more clips, check out the review of Katie May. This is a simple riff but what I wanted to demonstrate with it is that while there is a definite emphasis on the low-end, it isn’t so much that it muddies the tone. When I hit the lower strings, you can hear the notes clearly. Another incredible thing about the Imperials is their incredibly wide dynamic range and sensitivity. For instance, I can set an amp at the edge of breakup, set the volume on the guitar at about halfway, and easily roll overdrive up and down, setting it to exactly the amount that I need. Could be the pots that Perry has used. Volume changes are very even throughout the entire sweep of the pot. Irrespective of that though, the pickups respond beautifully. Having been around gear a long time, there seems to be a lot focus on tone woods when talking about guitars. Make no mistake about it, tone woods are important, but pickups are a huge factor in tone and I find that they’re often overlooked. I liken them to tires on a car. You have to have the right tires for the car. If you don’t, not only will they look funny, they’ll affect the performance. You wouldn’t put passenger tires on a Ferrari, would you? Or you wouldn’t waste money on Z-rated tires for your Nissan Versa (maybe a “ricer” would – worst I saw was a whale tail on a Corolla – but that’s an entirely different topic). So it is with pickups. You can have an absolutely gorgeous guitar that sounds like crap due to the pickups. I got lucky with my R8 which has BurstBuckers. I love ’em in that guitar, but I’ve played some LPs that sound horrid with the same pickups! The point to this is if you have a match between guitar and pickups, your world will be right. With Katie Mae, because of how she plays, I could sit with her all day long and never get tired of how she feels. Add to that the awesome sound of the Lollar Imperials, and all is right in the world! I know what you’re thinking: Oh no, another boutique gear snob. But that couldn’t be further from the truth. I’ve bought brand-name stuff in the past, and will continue buying it if I like it. However, given a choice between two similar types of gear, and similar pricing, I will invariably go with the boutique gear maker, and not because of the usual reasons such as: handmade, handwired, higher quality, etc. The main reason is because I can have a personal relationship with the manufacturer. When I call them up, I almost invariably speak to the owner/builder of the gear I’m interested in or buying. I can hear their stories behind their gear, and most importantly, get their insights on how to apply their gear in the best way possible. For instance, I just got off the phone with Jim Wagner of WCR Guitar Pickups, whose Godwood pickups I wrote about wanting yesterday. I have a few guitars that have ‘buckers in them, but I was actually thinking about swapping my Duncans out of Goldie once I get her. But Goldie’s ‘buckers are coil-tapped, so I was wondering if I’d be able to use the Godwoods with her. Instead of consulting with one of the online forums, I decided to give WCR a call. Jim has a really engaging manner, and when I mentioned that I wanted the Godwood set, he actually recommended getting the “American Steel” set which includes one Crossroads pickup and a Godwood. He said it is his most popular set because it gives folks the benefit of having these two great pickups in their guitars. That’s another thing I like about dealing directly with a manufacturer. They totally believe in what they’re doing, and stand by their work. Customer service isn’t relegated to a call center overseas. I get to deal with the maker – you can’t get better information than that! And consider this: A lot of boutique manufacturers these days are cutting out the traditional middleman. You have no choice but to deal directly with them. But considering the personal relationships you can establish, and the much higher level of support and customer service, you’d be a fool to not seriously consider going boutique when looking for your next piece of gear! 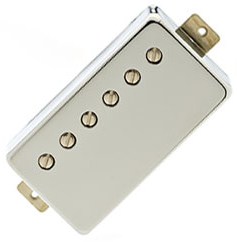 In any case, if you’re interested in doing your latest tweak, you should consider WCR Guitar Pickups. I just can’t wait to get my set! WCR Godwood Pickups – OMG!!!!! I want these! Dammit! Every time I think I’ve covered all aspects of my tone, I come across or remember one more thing that ignites the GAS in me. This time it’s pickups; but not just any pickups. These are handwound pickups from WCR, a little company in Soulsbyville, CA, and owned by a guy named Jim Wagner. Jim has been winding his own pickups since the early 90’s, and has made a name for himself with the gorgeous tone his pickups produce. For Jim – according to his web site – it all started out with him searching for that classic PAF tone. But he was unwilling to pay the massive amounts of money for classic PAF’s, so he decided to make his own, and he has turned that into what appears to be a fairly successful business with a good following of artists. 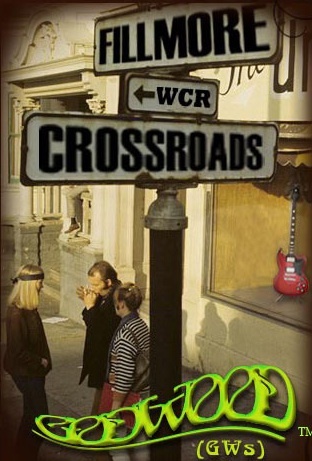 I discovered WCR pickups awhile back when I was having one of my long gear conversations with Vinni Smith of V-Picks. In the conversation, he started talking about Schroeder guitars, and of course my curiosity got the better of me, so I looked them up. I discovered that Schroeder equips all their guitars with Jim Wagner pickups. Unfortunately, I only went so far with my surfing, and never went to his site until Vinni mentioned in a Twitter tweet (say that three times fast) that he was taking delivery of a brand-new Schroeder guitar. Curiosity got the better of me again, and I went back to the Schroeder site. This time though, I clicked through to WCR Pickups, and started listening to clips. I randomly clicked on the various models of pickups Jim makes. Then my breath got taken away by the sound of his Godwood pickups. What tone! What clarity! What sustain! I HAD TO HAVE THESE!!! Listen to the clips, and you’ll see why I’m jonesing for these. So now my GAS is fully ignited, and I’ll spend the next few months scraping together what little funds I have to get yet another piece of gear. I know, I’m incurable!